(JEFFERSON CITY, Mo. )—Mike Moreland of Harrisonville, Mo., steps into the role of Missouri Corn Merchandising Council (MCMC) chairman effective Oct. 1. Elected during the organization’s August board meeting, Moreland succeeded Mark Scott of Wentzville, Mo. Moreland previously served the state’s growers as MCMC vice chairman, secretary and treasurer as well as Missouri Corn Growers Association vice president and secretary/treasurer. Moreland also represents corn farmers nationally, currently serving on the National Corn Growers Association Market Access Action Team as well as the Resolutions Committee. He previously served on NCGA’s Risk Management Action Team and Grower Services Action Team. The MCMC board of directors is comprised of 15 farmers elected from across the state. This volunteer board was formed in 1984 with the passage of a corn checkoff and is committed to market development, research and education. To learn more about the corn industry in Missouri, visit www.mocorn.org. 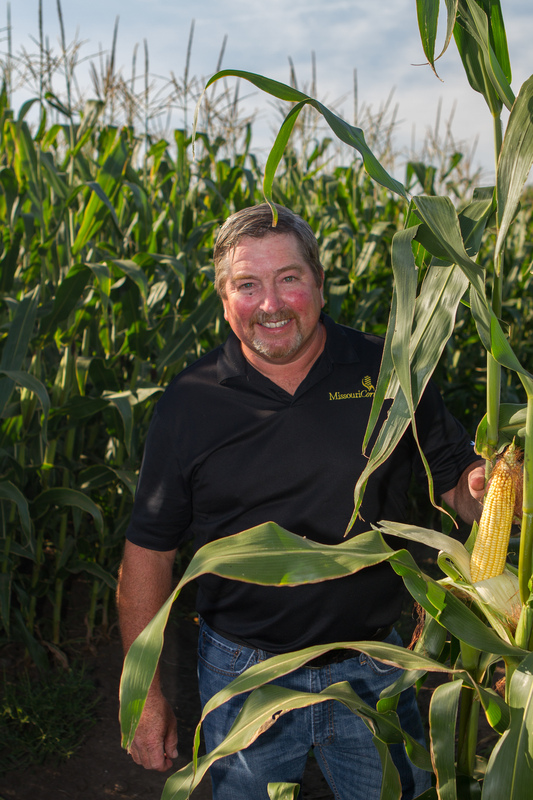 Photo Caption: Harrisonville farmer Mike Moreland took the reins as Missouri Corn Merchandising Council chairman effective Oct. 1. Moreland represents corn growers from District 4 in west-central Missouri.